A bijin adjusting her hair before a mirror from a set: Hana no kazari no fuzei, “Elegance of the Flower Decoration”. 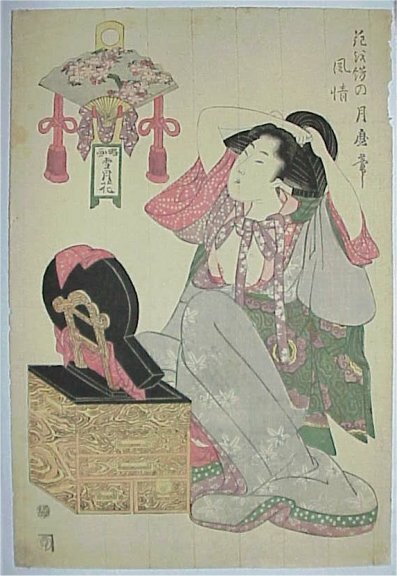 Published by Tsuru Kin c1810’s. Very good impression and colour. Minor marks: slight edge nibbling and the paper laid-lines evident top and bottom, but otherwise very good. 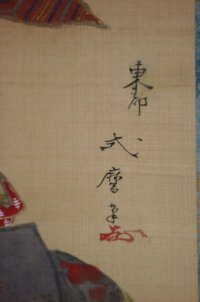 Signed Tsukimaro hitsu. 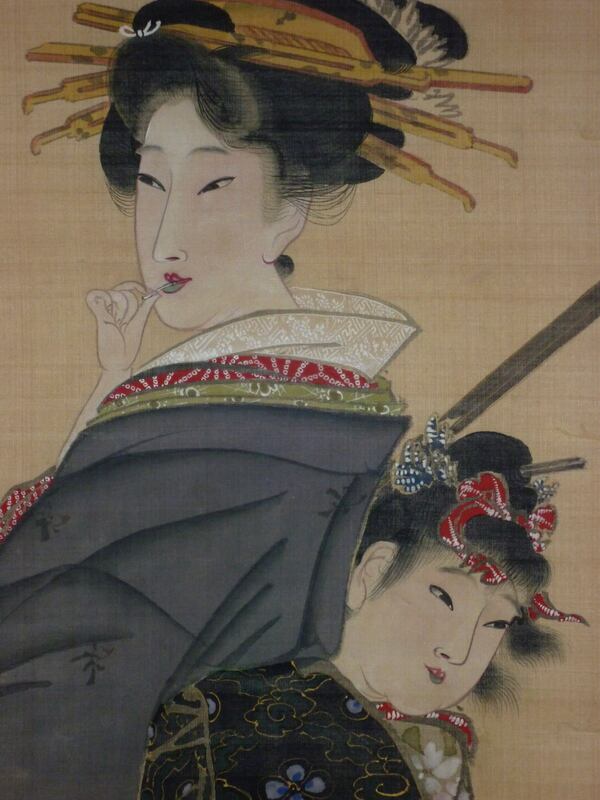 An original painting, full colour on silk, image size 37.75 in x 15 in; 96 cms x 38 cms. 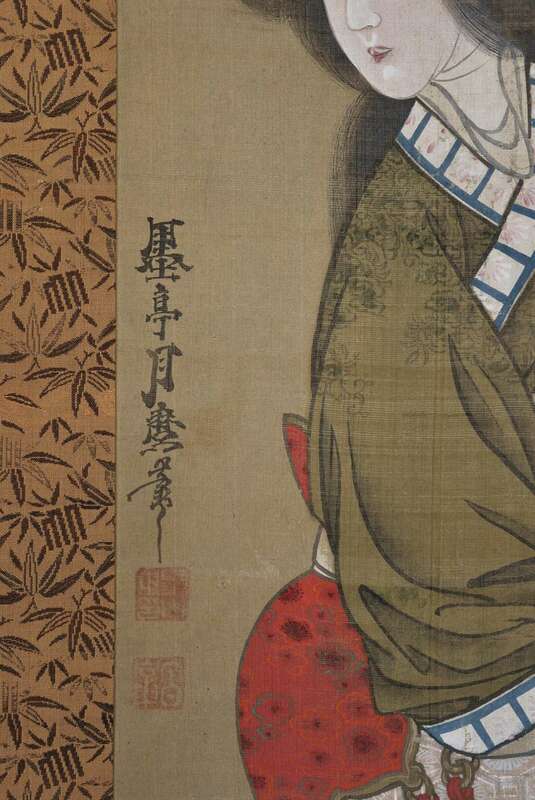 This pupil of Kitagawa Tsukimaro is known for his prints of full length beauties. Paintings by him are extremely rare and this is possibly the finest example. Shows a Kagi-zu, a geisha who entertained by playing the shamisen. Her attendant is seen behind her holding the three-stringed instrument. 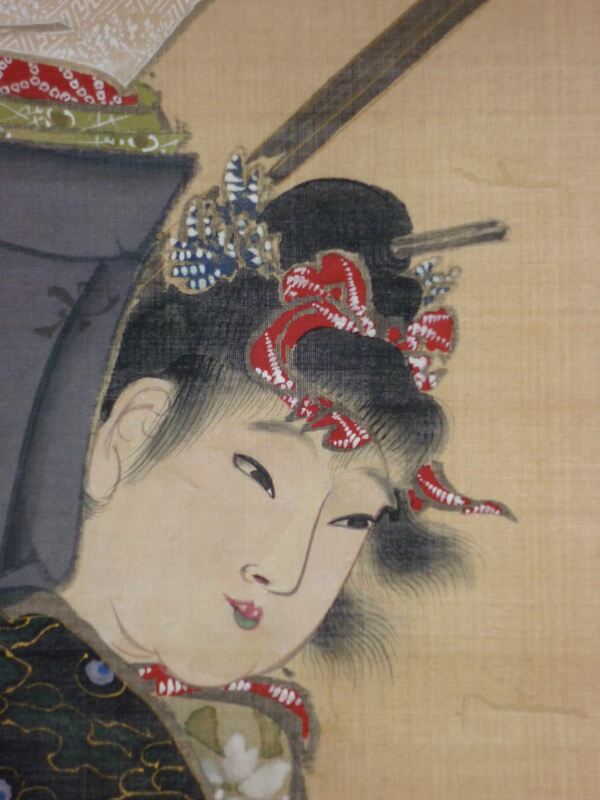 The shamisen came originally from China via Okinawa and underwent certain changes. 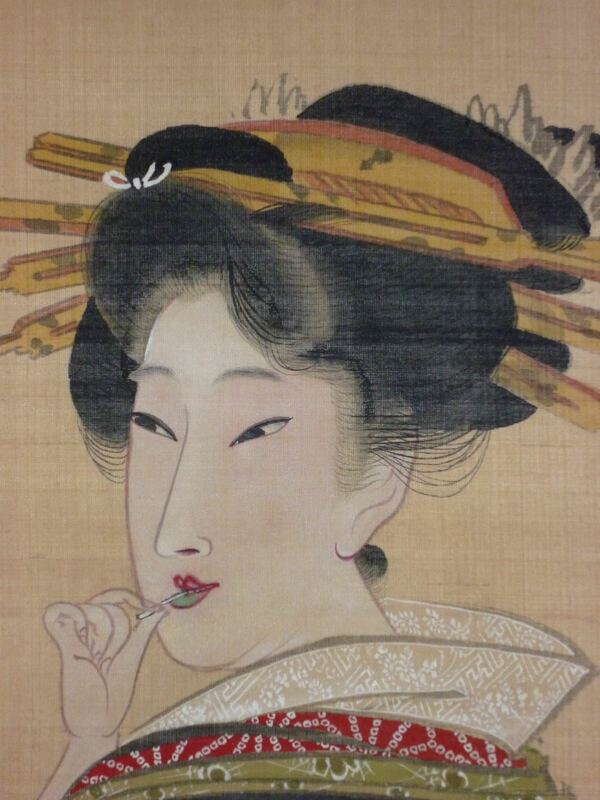 It was adopted by the geisha culture in 1750 and took a number of years to master. 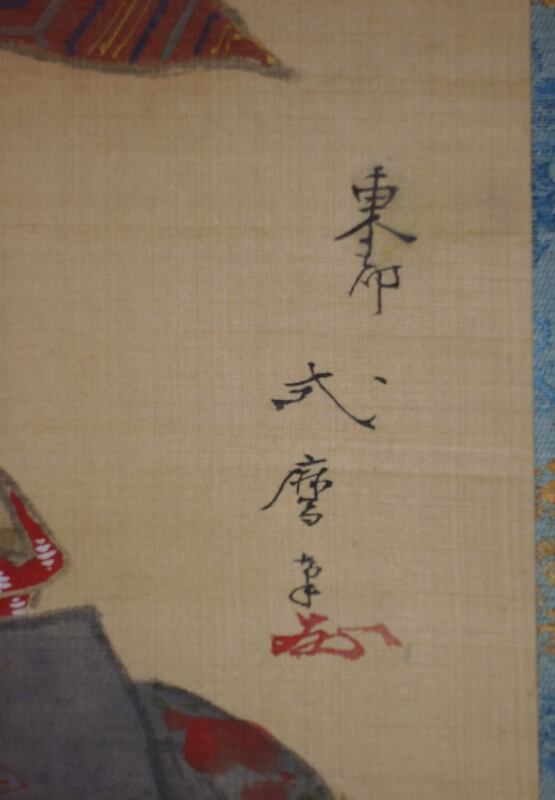 New mount and box with a futo-maki ( a thick wooden roll to preserve the painting from damage ). In fine condition. 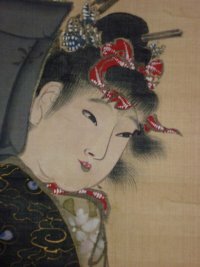 An exceptional painting – especially the rendering of the acolyte’s face. Signed Toto ( Eastern Capital ) Shikimaro ga with red kakihan.